Joint ventures have a lot of appeal and for good reason. 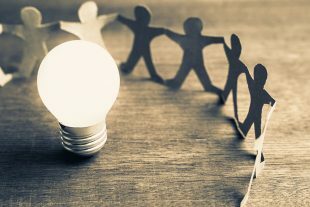 When businesses join forces they can pool goods, services and funds to help them innovate and achieve commercial success that they couldn’t otherwise do alone. This is especially true for smaller businesses looking to establish themselves or expand. So it’s no surprise that the modern management mantra is that competitors should ‘collaborate to innovate’. And at the CMA we fully support collaboration that benefits customers with a better service or a more innovative, cost effective product. A joint venture is a tempting road to travel, isn’t it? But while commercially attractive, there are rules you must follow when you agree a strategic alliance with a rival. It’s important joint ventures comply with competition law. Recently the CMA fined two businesses £1.7 million for illegal market sharing (for example, agreeing not to compete in each other’s territory or for each other’s customers) under the umbrella of an otherwise permissible joint venture. Generally, as a business you are best placed to understand the nature and impact of your ongoing or proposed collaboration. But remember, legal advisers have an important role to play in advising you on competition law pitfalls that can arise. And to get the most out of legal counsel you need to know the right questions to ask, as the saying goes: ‘If you don’t ask you don’t get’. What’s more, we’ve recently written to over 1,000 regional law firms urging them to share our guidance on joint ventures and competition law with clients, which means they should be ready and waiting for your questions. Is our joint venture likely to fall within the merger control rules and should we therefore be getting clearance from the CMA (or perhaps the European Commission or any other competition authorities) before we do it? How can we be sure that the pro-competitive goals we hope to achieve through the joint venture could not be produced by one of the parties acting independently? How should we document and inform our staff of the pro-competitive goals of our joint venture and appropriate red lines so we avoid any competition law problems? How do we assess whether the joint venture will reduce or get rid of competition between us and our joint venture partners? If it does, should we abandon the arrangement? How can we ensure any reduction in competition brought about by the collaboration is no more than is absolutely necessary to achieve our pro-competitive goals? What are our staff allowed to discuss with joint venture partners and what should we categorically not discuss? Once the joint venture is up and running can we introduce other arrangements or agree on other matters without worrying about the competition law implications? How often should we review the joint venture arrangement and what should prompt an immediate review? What guidance is there available on setting up a competition law compliance programme for the joint venture? Can you talk me through the CMA’s short guide on joint ventures and competition law: dos and don’ts? Check out the CMA’s business advice: joint ventures and competition law: dos & don’ts to find out more about what is and isn’t allowed when you collaborate. If you think something your business is doing might break the law, find a legal adviser or contact the Competition Pro Bono Scheme.